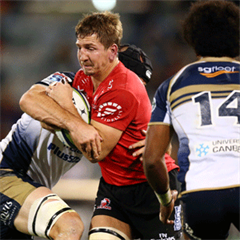 Cape Town - Sport24 highlights 5 talking points after the fourth weekend's action of Super Rugby. It may not always be the case, but the Lions added fire to the argument that in the modern game it’s better to play without the ball. The men from Johannesburg upset the Blues 13-10 at North Harbour Stadium despite being on the back foot for large parts. Statistics were heavily in favour of the Blues and when one takes a look at the Vodacom Rugby Stats App, it’s hard to fathom exactly how the Lions sneaked a win. The Blues dominated possession (61%) and territory (74%), they ran 504m compared to the Lions’ 204m, they made 4 clean breaks to 2, had 199 carries to the Lions' 57, beat 25 defenders to their opponents’ 10 and made only 70 tackles to the mammoth 178 by Johan Ackermann’s charges. Blues coach John Kirwan must be scratching his head, wondering just how his team scored only 10 points despite dominating to such an extent. 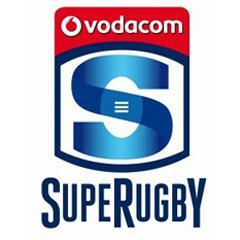 The Stormers scrum is fast developing into one of their key weapons. Their 29-13 annihilation of the Sharks was largely set up by a dominant forward display, none more than at scrum time. They won no fewer than 3 tightheads off the Sharks feed as man-of-the-match Steven Kitshoff demolished a hapless Matt Stevens. The Sharks embarrassed themselves in the 30th minute when Stormers flyhalf Demetri Catrakilis kicked a penalty over the dead-ball line. Instead of opting for a scrum from where Catrakilis had kicked near half-way, the Sharks decided they didn’t want the scrum and took a drop-in from the 22m line instead. The signing of Vincent Koch from the Pumas was also one of the better signings made in recent years by the Cape franchise. It has been confirmed that the penalty try awarded to the Stormers in their 29-13 win over the Sharks was the correct call made by referee Jaco Peyper. A penalty try was awarded when in the 66th minute when Sharks scrumhalf Cobus Reinach played the ball from an off-side position in the in-goal area. It prevented Dillyn Leyds from scoring after Odwa Ndungane had knocked the ball on. There was confusion over whether a player can be adjudged off-side in the in-goal area. Sharks centre Frans Steyn was heard protesting to the referee that you can’t be off-side in the in-goal area and this writer was admittedly also questioning the call at the time. However, according Rule 11.1 (b) of World Rugby's regulations, the off-side rule does exist in the in-goal area. Springbok coach Heyneke Meyer will be pleased to see that prop Coenie Oosthuizen is finally starting to come into his own as a tighthead prop. Oosthuizen was simply colossal for the Cheetahs in a losing cause against the Bulls this past Saturday. His scrummaging was on par, while his barn-storming runs and impressive defence stood out from the rest of this team-mates.